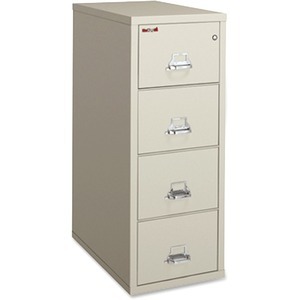 File cabinet provides a high level of protection from potential fires, severe impact damage and damage by water from sprinklers and fire hoses. Steel lattice reinforcement offers serious impact protection on all sides. Oven-dried, Gypsum insulation maintains its protection properties for a lifetime while eliminating corrosion. Electrostatic powder-coat finish is scratch-resistant to maintain its high-quality appearance for years to come. Four letter-size drawers are carefully built with high sides for convenient use with hanging folders, requiring no additional frames. 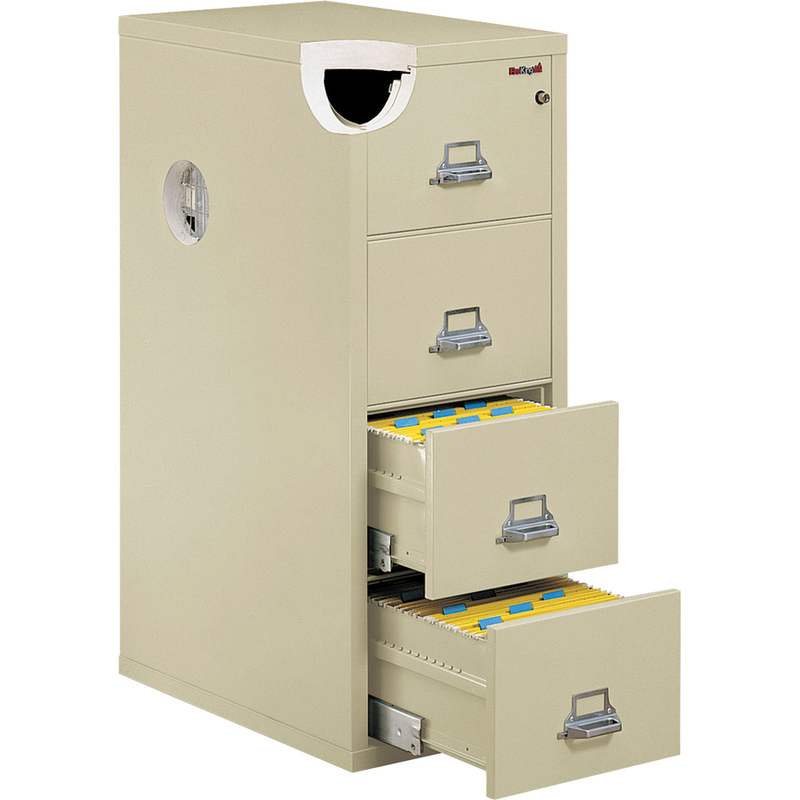 An advanced lock bypass uses a two-position drawer catch to allow access to only certain drawers.